Thanks to my many years of photographing cemeteries I've built up an arsenal of tips and tricks to get the best photos possible. For anyone shooting in a cemetery - particularly an old one - there's bound to be challenges, from weathered stones to bad weather! However, by following these 5 tips, you'll overcome 90% of the problems encountered in photographing tombstones. In conventional (non-tombstone) photography, if your subject is backlit (the sun is behind them), the rule-of-thumb is to force the flash to fire. Why? If the sun is behind a person, when you aim the camera the sensors "see" that there's a lot of light so it won't fire the flash. But if you don't use flash, you'll end up with a bright picture but your person's face will be in deep shadow. As I said, forcing flash for backlit subjects is the solution for non-tombstone photos! Unfortunately, you can't use this same technique on tombstones because tombstones are basically a big piece of reflective material. If you use the flash (or shoot directly into the sun) you'll either get a glare spot, or (particularly with a white stone) the flash can entirely wipe out all of the writing on the stone. That's why I recommend turning off your flash. If you've ever seen a movie being shot or even seen a movie OF a movie being shot, you'll have seen a person holding a large screen-like item, focusing it at the actor. What they're holding is a giant reflector. Reflectors simply reflect light back onto the subject. If you use ambient light, the light reflected back on the subject (like a tombstone) is natural and soft - no harsh shadows. To make a homemade reflector, get a piece of cardboard that's about 12 x 12. Mine is only 6 x 9 because I want a size that easily fit into my camera bag. But 12 x 12 puts out more light. Apply glue to one side of the cardboard, and then glue on a piece of aluminum foil, shiny side out. Now you're ready to shoot in a backlit situation. All you have to do is position yourself (and your reflector) on the front side of the tombstone, then tilt the reflector until it catches the sun's light and reflects it back onto the tombstone. At this point you can take your photo because the front of the stone will have good lighting and you won't have to fire a flash. 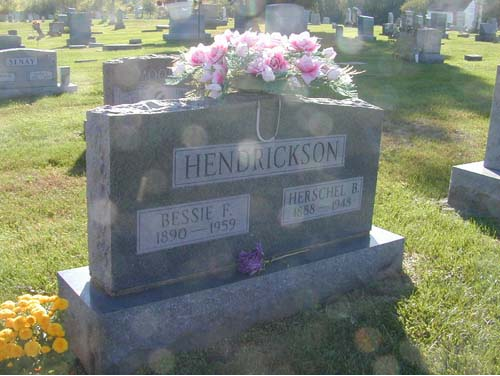 Use a homemade reflector to guide light back onto the face of a shaded tombstone. Bonus tip: If you're in a cemetery and don't have a small reflector handy, pull out the big sunshade you use to safeguard the dashboard in your car from the sun. It makes a great reflector! If the sun is particularly bright and ill-placed, ask a friend to hold the sunshade above the tombstone so it puts the stone in shade. Over time, tombstone inscriptions fade, making them very difficult to read - especially if the sun is shining directly onto the face of the stone. IThe optimum time to get a shot of a faded stone is to wait until the sun is shining on the stone from the side or at a low angle. This angle creates a bit of shadow, which makes the inscription easier to read. 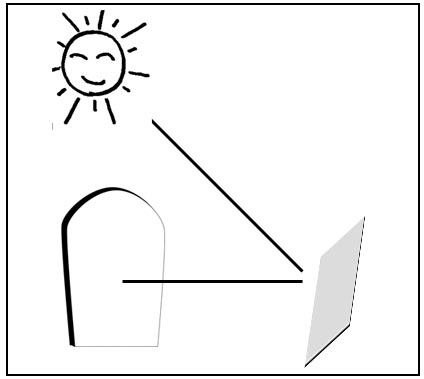 If you can't be at the cemetery at the best time of day, sun-wise, or if the direction the stone is facing precludes this technique, use your reflector to guide the light in from the side. Whether you're taking tombstone photos for yourself or for others, don't forget to take a lot of shots of the cemetery itself. Include a photo of the front gate (it's good to have the name of the cemetery clearly shown), the view from the cemetery, the tombstones surrounding the one of interest. As you know, it's possible that five years from now you'll discover that the person buried next to your ancestor was a friend or relative. 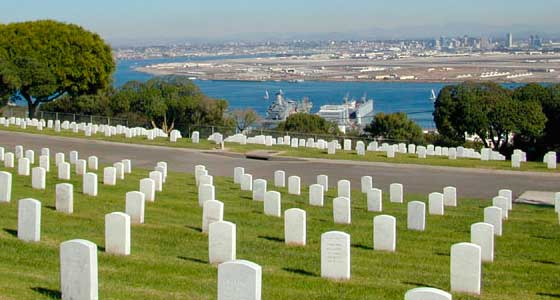 In the photo taken from the Fort Rosecrans National Cemetery, I wanted to capture the view from the tombstone area - just so anyone looking at the picture could get a sense of the cemetery's "feel". When photographing a cemetery I also look for interesting angles or items to include in the photo. For example, in photos taken at the Old City Cemetery in Tallahassee, Florida, I included the lilies that were growing at the side of a tombstone. If you shoot a tombstone from above (standing) you run the risk of getting a distorted view - not only of the stone but of the inscription. If you're able, kneel down so the photo is taken at eye level. If you're able to read the inscription through your view finder (or LCD screen) then you're assured that the inscription will be readable on the digital image. Photographing tombstones is a way of preserving information about your ancestors - particularly if the stone is beginning to fade due to weather, age, or material used. Hopefully these 5 tips will help you get great tombstone and cemetery photos - both for yourself and possibly as a volunteer for those who live far away from your locality. FindaGrave.com Volunteer to be a tombstone photographer.